Brewing beer with first wort hops (FWH) is a method I have used extensively for beer brewing over the last few years to improve the character of many recipes. First wort hopping produces complex bitterness and aroma that is both smooth and pleasing to the pallet. The method has become quite popular with homebrewers and microbreweries over the last 10 years due to the pleasant and complex flavor produced. FWH involves adding a portion of the hops to the boiler at the very beginning of the sparging process, allowing these hops to steep as the sparging completes and remaining in the kettle throughout the boil. Add the hops to the boiler as soon as you have finished recirculating the first runnings. First Wort Hopping is not a new method, but is in fact an old one from Germany that was largely forgotten until Priess, Neuremburg and Mitter published an article on it in 1995 (Brauwelt International, Vol IV, p 308). The method was originally used by brewers at the beginning of the century to enhance bitterness rather than overall flavor. Adding hops to the wort early in the sparging process reduced the Ph of the mash, which enhanced isomerization of later hop additions, increasing overall hop utilization during the boil. First wort hopping can be used both by all grain and partial mash brewers. As the FWH method originated in Germany, it has most often been associated with Pilsner beers, but other beer styles with complex hop flavor could benefit. 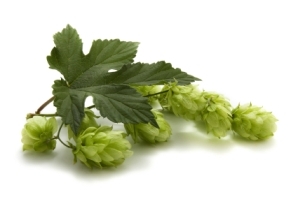 Aromatic, noble and other low alpha hops are recommended, as high alpha hops may provide too sharp of an increase in bitterness. The amount to hops to use varies. Most sources recommend using 30% of the overall hop schedule and moving it to FWH. Other sources recommend taking aromatic hops from the end of the boil and moving it forward to use as FWH. I have even experimented on my Wit beer with using FWH exclusively and had good results. My limited experience indicates that if you are looking for a smooth pilsner style hoppiness, moving a portion (30%) of the finishing hops forward is appropriate. If you want the hops to blend into the background of the beer for relatively low hop rates, you can consider moving a larger portion of your hop schedule forward. FWH in general will produce a more complex, blended hop flavor. Calculating the FWH numerically is quite simple. In most cases an adjustment (10%) is added to the calculated bitterness in IBUs to account for the higher utilization of FWH methods. For BeerSmith users, there is a checkbox for first wort hops available as you add each hop addition, and BeerSmith will adjust the IBU calculation to account for the higher utilization. Despite the slightly higher IBUs of FWH, most authors do not recommend reducing the overall hop rate to compensate. Overall, I have been very pleased with the effect first wort hopping has had on my beers. I have taken to using it on a larger variety of beer styles recently with good results. FWH seems to produce a more complex, pleasing and harmonic hop flavor and aroma that beer drinkers find pleasing. Thanks again for your support. If you like this article please subscribe using the link on the left sidebar for more great articles each week! I haven’t started all grain or partial mash brewing yet, I am still an extract brewer. With that, can this method be applied to extract recipes as well? I don’t know if you would get the same effect, but I suppose one could try steeping the hops with the grains before boiling and then leaving the hops in for the boil. It might make an interesting experiment. If you do try it – please let us know how it turns out. #1 – On the podcast with Charlie Bamforth (mashing) it seemed like FW hopping was discouraged. Has anything changed between this post and that recording? I want to make sure my approach to makes sense. #1 – I think Charlie was referring to mash hopping and not first wort hops – in fact I’m a big fan of first wort hopping myself and use it a lot. #2 – You can use higher alpha hops – the technique will still smooth them a bit though I’ve tended to use lower alpha hops for most of my FWH beers. The reason is that hops are generally not the dominant flavor when you are using a FWH technique – it is more of a softening/blending technique which creates a smooth hop bitterness. If you really have a hoppy beer it might not be appropriate as you would probably want the hops to stand out more. I’m going to try FWH in the morning on a Amarillo Pale Ale all grain recipe that I designed using B.S.2. My plan is to FWH 2oz then 1oz @ 30min and 1oz @ 10min, dry hop with 2oz during 2nd. I love the flavor of Amarillo and am interested in different flavor/bitterness that FWH might provide. When entering FWH into BeerSmith, after I select that it will be a FWH, how much “time” do I enter? Do I enter 30 minutes (the length of the sprage and thus FWH) or do I put in the total time that the FWH will be in the kettle (30 minute sparge + 75 minute boil)? I just would like my IBUs to be accurate. Thanks! Ben asked my question. I’m sort of bummed out that there is no answer here, so I’ll ask again. What is the time supposed to be when you do a FWH in BeerSmith? Is it supposed to be just the time that the beer sparges (thus is in the wort before the boil)? Or … is it supposed to be boil time? Or … is it supposed to be sparge time plus boil time? I hope to get a response soon. I might try to contact you other ways as well as I don’t know how often you check comments on your blog. For a first wort hop the correct time to enter is the boil time (60 minutes for a 60 minute boil). Something Kirin has been doing for over 100 yrs & the reason it’s a great beer! Sorry to kick a dead horse, but so far as the FWH time goes in BeerSmith regarding your post above. Runoff = 45 min, boil = 60 min, Set FWH to 60 min? Runoff = 70 min, boil = 60 min, Set FWH to 60 min? If this is the case, maybe the FWH time should be “hard coded” to the boil time that the brewer sets in their recipe. This would avoid confusion unless I’m missing some variable that the brewer should want to set the FWH time to something other than their total boil time…. forgive me, I’ve had a long day and am on to Scotch now. Thanks – obviously the FWH time should be set to the boil time, but I’ll look at hard coding this in the future. FWH lowers pH and increases hop utilization? That contradicts brewing literature (such as “Technology Brewing and Malting”-Kunze) as far as mash and wort acidification goes. One of the few disadvantages to wort acidification is reduced hop usage rates. I never read the original article I just wanted to point that out as there is so much misinformation in the home brewing community already. That being said I am about to experiment with some FWH on a few upcoming brews. It does slightly increase hop utilization over simply boiling because the hops are steeped at mash temps while the sparge is going on. I know the last post was a year ago but… I must agree with Dbrit that higher alkalinity increases hop utilization rates; however high pH leads to problems that far outweigh the benefits of 100% utilization. No doubt you (B. Smith) are correct that the first addition is more thoroughly utilized but a lower pH will actually affect a later addition’s utilization negatively. In fact, according to an experiment conducted by Denny Conn the same recipe FWH vs 60 min. FWH yielded two points higher IBU than the 60. However this only supports the theory that the first addition is utilized more thoroughly because there was no aroma addition for comparison. I wonder if greater utilization results because the alphas distribute evenly throughout the wort before isomerization actually begins. Some speculate that some oils bond with other chemicals in the wort which prevents them from volatilizing during the boil- but I have no idea I am not a chemist. Also I have to disagree that high alpha varieties spike the IBUs too far because my first FWH beer was a DIPA w/ citra simcoe and centennial which are all fairly high alphas- best DIPA I’ve ever had and with a smoother hop character than a blonde (90 IBUs). First wort hopped every beer ever since- no regrets. When I check the box in BeerSmith do I have to do anything to the time, or should I just keep it at 60? Thanks for the great article. FYI – FWH is pleasing to the palate, not the pallet (unless you are talking about pleasing a wooden skid). Cheers! Very helpful information particularly the final part 🙂 I maintain such info much. One downside that I’ve never seen mentioned is that the FWH method prevents you from scooping off the hot break at the beginning of the boil. Doing so would remove some of the hops as well. I would be interested in your thoughts on this. Thanks for the great article! If you bag the hops that won’t be a problem. How Do you FWH If you are a BIAB Brewer? Add the hops immmediately after removing the grain bag while you are heating the wort up to boiling. If you are bagging the hops, do you remove the hop bag(s) after the boiling/cooling is finished, or does it even matter? I want to try FWH on my BrewEasy recirculating infusion mash system. Because you can’t put the hops into the boil kettle until the mash kettle is drained and removed from the boil kettle, I was thinking that I should just put the hops (in mesh bag) into the upper kettle during the second half (final 30 minutes or so) of the mash and then transfer the hops bag into the boil kettle for the boil. what do you think? I have a breweasy too. Did you ever get around FWH with your breweasy set up? My plant is a final wort of 210 litres. Just in that calculation putting in 3.36 kilos of any hop would make it the worlds hoppiest beer and undrinkable. Beer Tasting: Third Leap Hoppopotamus | Third Leap Brewing Co. Previous post: So When is St Patrick’s Day Anyways?